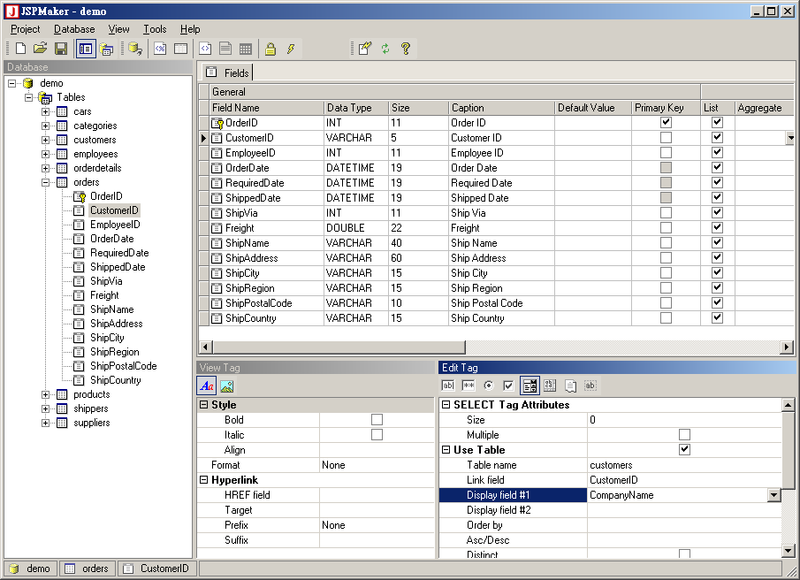 JSPMaker is a powerful yet easy-to-use code generator that creates a full set of JSP (JavaServer Pages) quickly from MySQL or Oracle. Using the generated JSP, users can view, edit, search, add and delete records in the database easily on the Web. Generated codes are clean and easy-to-customize. With JSPMaker, JSP developers can build Web applications much faster than ever before. JSPMaker creates a set of JSP (JavaServer Pages) quickly from MySQL or Oracle. Help you create a professional menu system on web pages in minutes. Help you make horizontally scrolling images on Web pages in minutes. Qweas is providing links to JSPMaker 1.1 as a courtesy, and makes no representations regarding JSPMaker or any other applications or any information related thereto. Any questions, complaints or claims regarding this application JSPMaker 1.1 must be directed to the appropriate software vendor. You may click the publisher link of JSPMaker on the top of this page to get more details about the vendor.